Here I go! 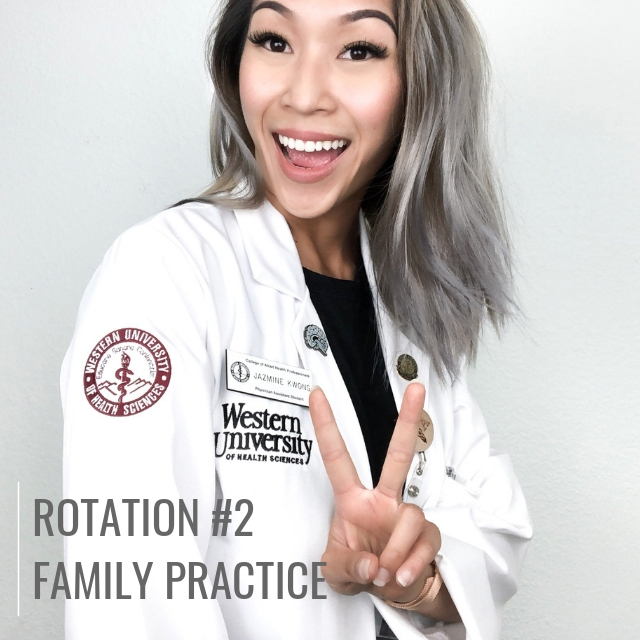 Rotation #2 and it’s back on campus at WesternU Patient Care Center. Traffic wasn’t as hectic as my first rotation so I was pumped! Alrighty~ all set to go! At this clinic, I was rotating with 5 other DO students (OMS-III), 3 PharmD students (P4) and 1 Podiatry student (DPM III). What a stark contrast from my first rotation. Instead of having 20+ patients, at PCC I had 2-4 patients daily! In addition to seeing patients at clinic, we also did group home visits in the morning. At these visits, we hand wrote our SOAP notes and performed physicals on the residents. We had over 7 attendings (both PA-C and DO) and we worked with a different attending each day. We were exposed to many styles of teaching, documenting and presenting. It was a challenge! We encountered a ton of disease processes and co-morbidities through our patient encounters - I learned a lot! It was also a plus when we were able to help out the first-year DO students with their clinical skills; we reviewed things like EKG strips and full physicals exams. I wish we had more patients, but at the same time, the patient load gave us a lot of time to perfect our SOAP notes. Each month we have two exams where we have to be on campus on a Friday and Monday. For this month’s SS exam, we were tested on Hypertension and Pulmonology. I made a HUGE mistake and overlooked the Pulmonology part and just studied Pneumonia *face palm. I used quizlets and re-listened to the lecture to study for this, I even used my Pance Prep Pearls. During the exam, I FREAKED OUT - read about it here. For this next exam.. I’m making sure I study the correct topics! I went through the Family Practice blueprint that our program provided us explaining the topics covered for this exam. I used Pance Prep Pearls this time and I wish I did so sooner because there were A TON of topics. What’s also helpful is the blueprint on PAEA. Happy to say, I passed! Shoutout to these people right here! Austin, Alex, Tanner, Monika, Justin & Shazeb - these three weeks have been so fun! Thank you for showing me how the EMR works, for giving me the heads-up on which attending likes to ‘pimp’ , for getting me lunch, & for showing me how group home encounters go down. 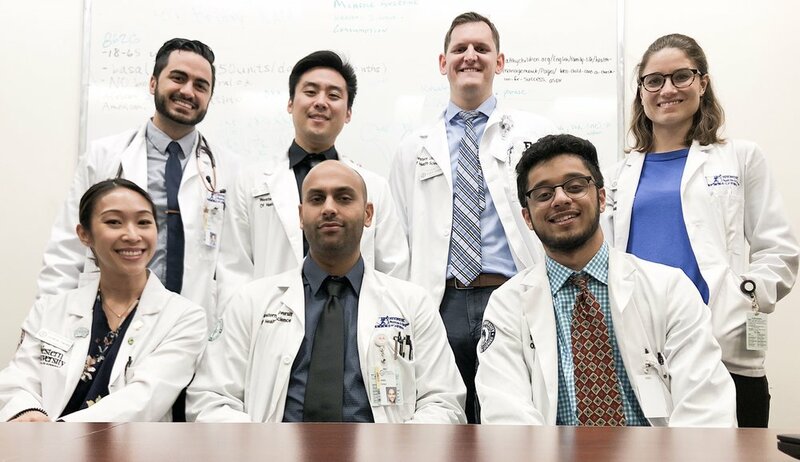 Good luck to the DO students on their next rotation! To see more of my day to day on this rotation, check out my Rotation 2 highlights on Instagram !